Rejuvel Bio-Sciences has formed a new subsidiary called 3D Stem Cell Labs a Joint Venture with Brand Labs USA located in Pompano Beach, Florida. 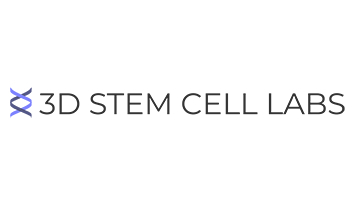 Pembroke Pines, FL, February 14, 2019 -- Rejuvel Bio-Sciences, Inc. (OTC Markets (NUUU), a NASA Technology Partner, has formed a new subsidiary called 3D Stem Cell Labs, Inc. (3D) - http://www.3dstemcelllabs.com a Joint Venture with Brand Labs USA http://www.brandlabsusa.com com located in Pompano Beach, Florida. BLU is a privately held product development laboratory and contract manufacturer of cosmecuetical and other personal care products, founded by industry expert David Pollock. As one of the top cosmetic formulators, Pollock was named one of the twenty to know in the industry. BLU’s clients range from direct-to-consumer companies including television shopping networks and infomercial marketers, to certain health care brands to certain professional physician and higher-end brands. Charles Scimeca, CEO of Rejuvel stated, “We are excited about forming this Joint Venture. This Venture gives us access to a full manufacturing, filling, design and packaging facility,, as well as distribution of products powered by our 3D technology platform through BLU’s client and prospective client network." Safe Harbor Statement under the Private Securities Litigation Reform Act of 1995: This news release contains forward-looking information within the meaning of Section 27A of the Securities Act of 1933, as amended, and Section 21E of the Securities Exchange Act of 1934, as amended, including statements that include the words “believes,” “expects,” “anticipates” or similar expressions. Such forward-looking statements involve known and unknown risks, uncertainties and other factors that may cause the actual results, performance or achievements of the Company to differ materially from those expressed or implied by such forward-looking statements. In addition, description of anyone’s past success, either financial or strategic, is no guarantee of success. This news release speaks as of the date first set forth above and the Company assumes no responsibility to update the information included herein for events occurring after the date hereof.